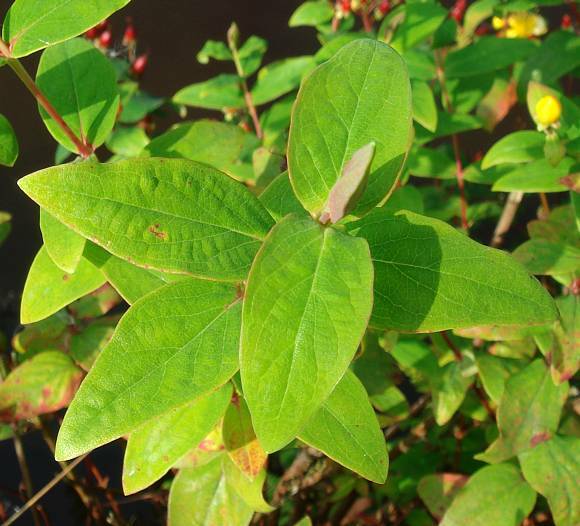 A deciduous shrub or tall under-shrub up to 1.5m tall. 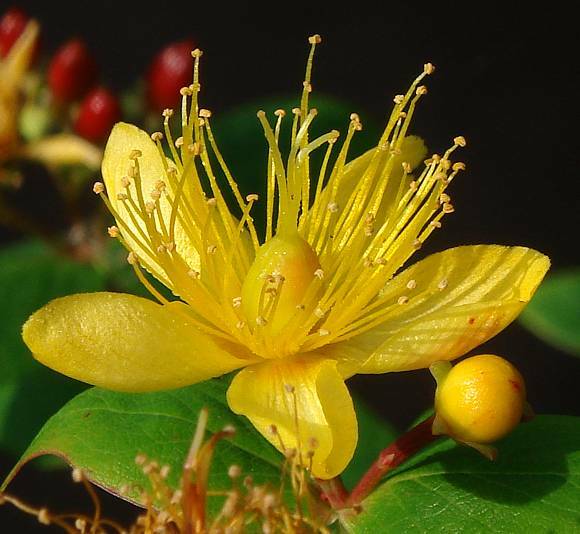 The flowers occur at the ends of individual stems, in a small branched cluster of up to a dozen or so, but usually many less. 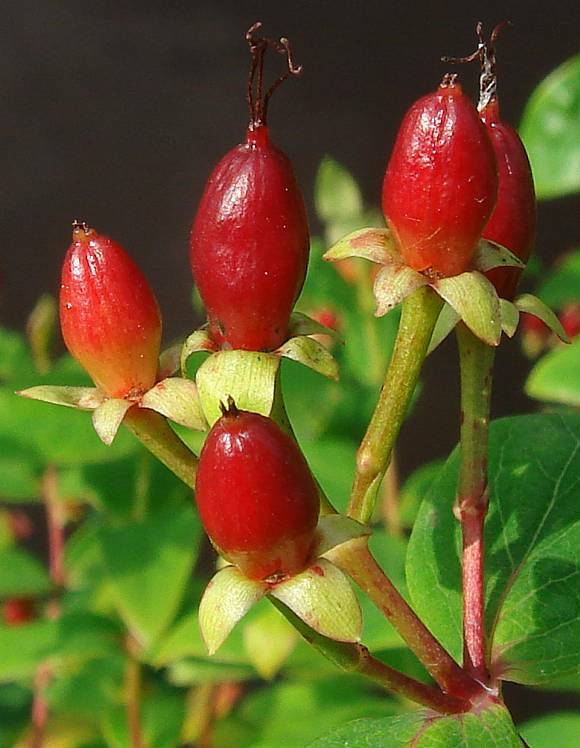 Un-like round berries of Tutsan, the berries (fruits) are elongated into a conical point. The petals drop off, and so too eventually the stamens leaving the fruit. The stems are contrarily said to be square or with four ridges. 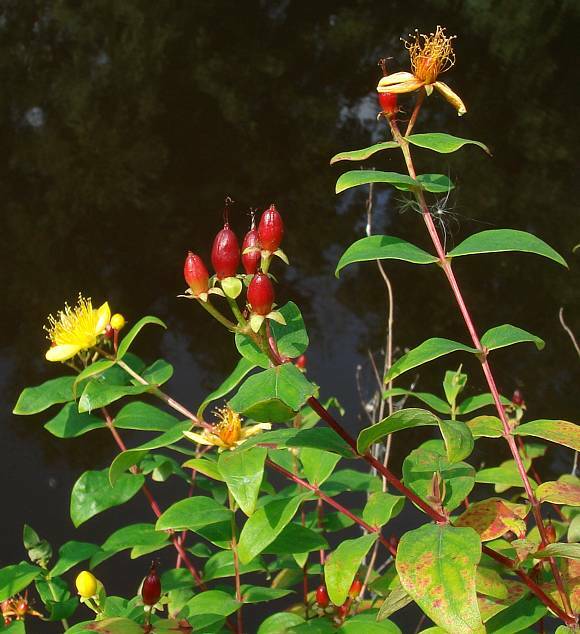 Leaves in opposite pairs up the stems. 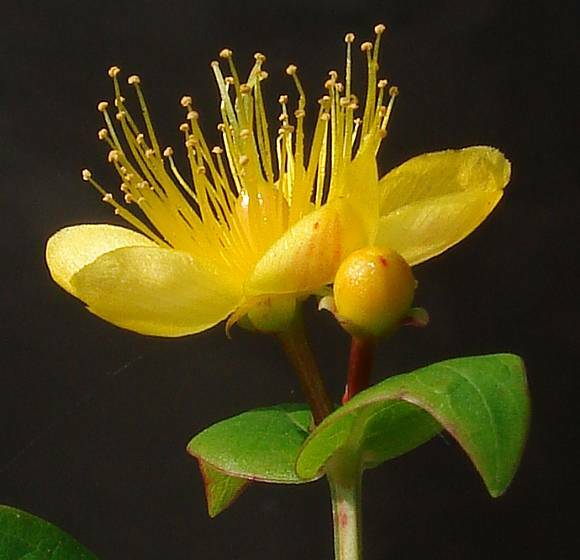 Five elliptical yellow petals and a multitude of stamens bearing fawn-coloured pollen. The ovary in the centre is at first greenish, becoming yellow (as here) before turning scarlet red when the petals and stamens have dropped off. Note the three yellow styles on the ovary; these may still be seen on the red berries. 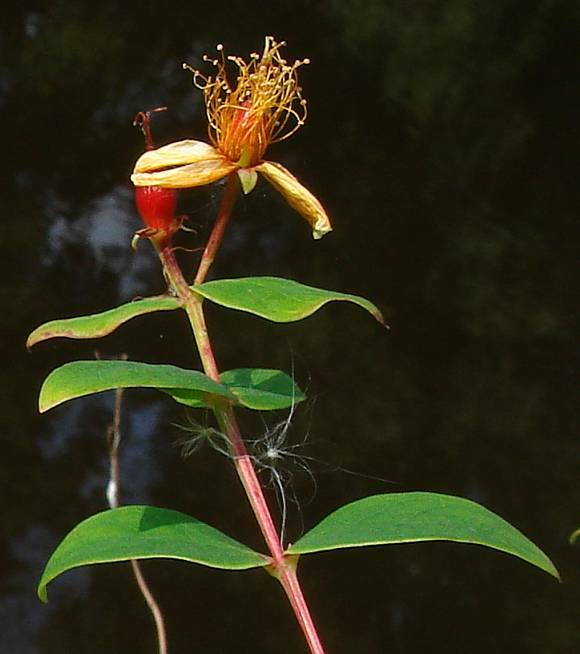 Large flowers, between 2.5 and 4cm across with stamens longer than the petals but sepals much shorter than the petals. The developing berry may still have the remnants of the three styles atop. Leaves light green. 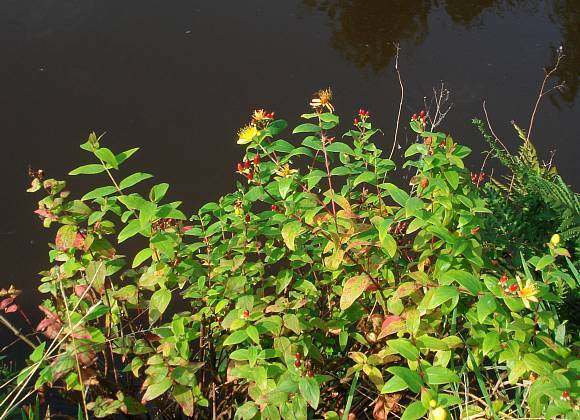 Flowers (or berries) in a small cluster atop each stem on short stalks. The five sepals (light green) are still on but the petals have long since dropped off. Withered styles still atop some berries. Leaves in opposite pairs, in quadrature up the stems. 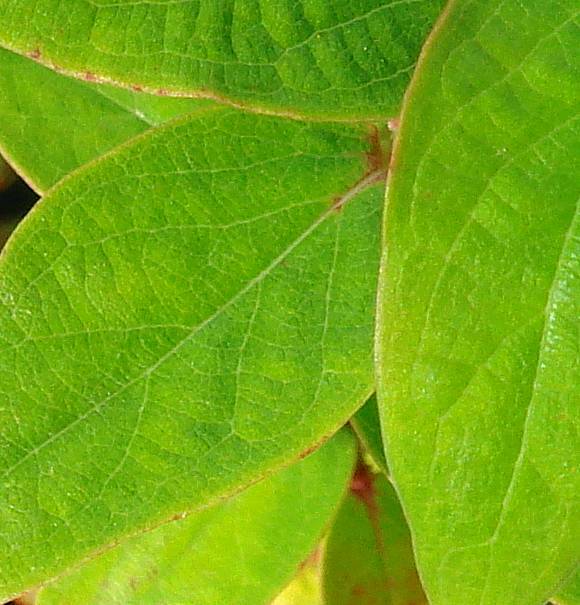 Leaves are matt and net-veined. The plant smells strongly of billy-goat when crushed, an identifying feature when distinguishing it from other Tutsans. 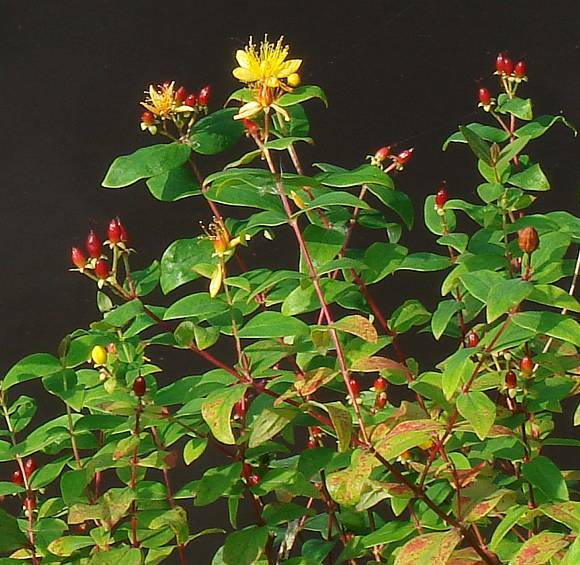 Hybridizes with : Tutsan (Hypericum androsaemum) to produce Tall Tutsan (Hypericum inodorum), which despite the scientific name, does smell when crushed, not of billy goat, but rather of aromatic compounds. 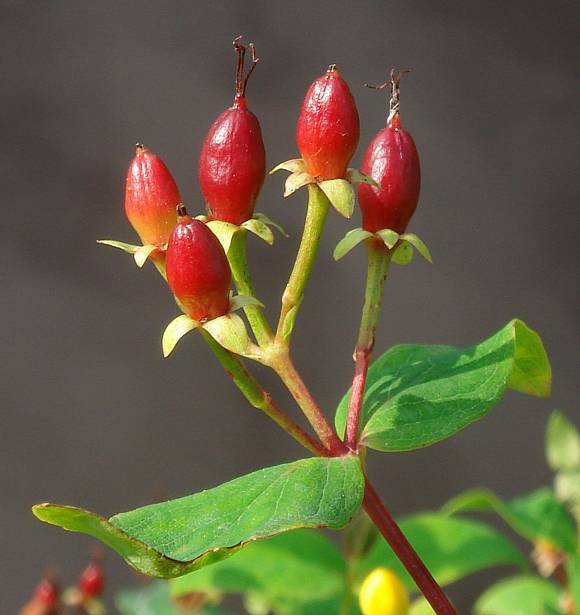 The berries on Hypericum species are poisonous, especially those that turn from pale green through yellow, red and finally to black. 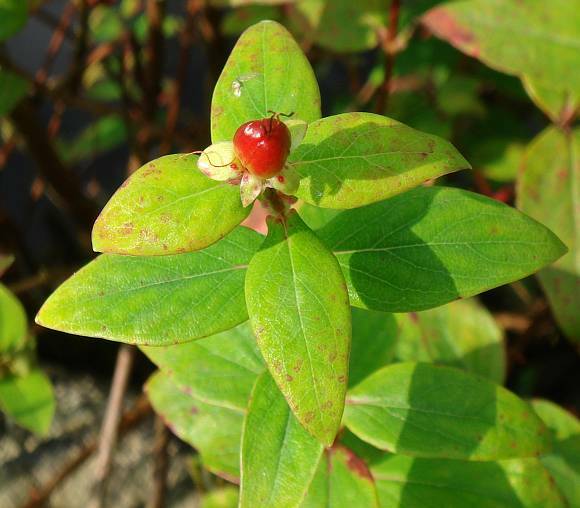 Although Stinking Tutsan is deciduous, but Tutsan is half-evergreen.